Hello all you beautiful people of the interwebs. I wanted to write to you about you today. Although I don’t know many if any of you personally I feel as if I do. I feel like you all are my friends and I always want to see my friends succeed, soar, and fly. But most important I want my friends to love them selves so that you believe in yourself as much as I believe in you. This probably sounds like a broken record but I dont want you to just like yourself but love the real you. Embrace who you are the things you are good at as well as the things you aren’t good at. Be able to laugh at and over come your mistakes. Reach for the stars and actually believe that one day you will be holding them. I want you to look at your self in the mirror and love the face staring back at you. I want to here I’m proud of my self because I gave it my all and I didn’t give up. I wanna hear that you are the key to your own happiness and you wont let any one else’s words or actions bring you down. You are you and there should be no one else you wanna be. You can love the music of your favorite singer and love the roles of your favorite actor but you are not them and why would you want to be. You have spent all the years that you have been alive building your life. You have made yourself you, so keep it that way be your self and love your self someday when you look back on you past when you are accepting and happy with who you’ve become you’ll thank your self for staying true to you! When I think of the past I try to focus on the good. But lets face it there are moments in your life you wish you could wash out of your memory. And our past will never change but these are things that we must embrace, learn from, and move on from. I dont want you guys to run from your past because when you do this it seems to always have a way of catching up to you. Just remember that you can change your future. Events of your past are in your past sometimes there are consequences you must pay for these events and mistakes but learn from them and move past them. But just remember the opinion you have of yourself is more important then what anyone else ever thinks. Hello all my favorite people! I wanted to write to you today about starting school up for another year. My college is about to start school right after Labor Day and personally I am excited I know that many of you may be wishing that summer didn’t ever end but. We must face that fact that it will. To get the best of this year we should start preparing now. I took quite a few summer course on line to keep my brain moving but for those in high school or don’t have a college that offers this there are other things you can do. If you are struggling in math then go to one if the many websites that offer a daily math problem it’s not to hard to do one math problem a day and it definitely will help you out! If you struggle with writing then sit down and write a letter, a blog, a review or anything else to get your brain focusing on grammar and writing! It you stifle with reading and literature then pick up a book it doesn’t have to be a school book or a classic just some thing that you enjoy. I took summer classes as well as did many of these steps I really enjoyed reading this summer I read many different types of books. 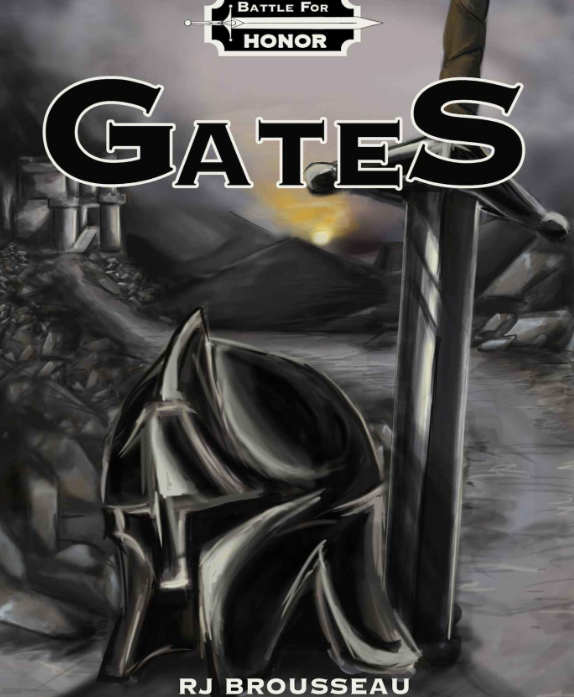 The one I enjoyed the most was a fantasy and scifi book called Battle of Honor:Gates by RJ Brousseau it was fantastically written and it took me to a different world! That is one of the best parts of reading sure you can watch TV and experience scifi and other worlds but it is not built by your imagination! The best part about reading for me is creating my own picture of what the author describes and this book worked great for that!